MGC Pharma’s core belief in creating a seamless seed-to-pharma pipeline is that every one of those phytocannabinoids has a value that has yet to be fully explored, researched in depth, or brought to patients via acceptable mediums. We are bridging that gap every day. Roby Zomer is our CEO and co-founder, and brings over nine years of strong corporate and operational experience to the company. Leveraging his experience and knowledge within the field of eco-sustainable projects, Zomer has a proven track record of international success within the biotech and agritech sectors. He was founder and CEO of Green City Urban Recycling, an Israeli renewable energy company with strong social and environmental values. As part of Zomer’s role, he was a representative of the biofuels industry to the Government of Israel, giving him an extensive background in international and government relations as well as emerging industries. Zomer joined MGC Pharma in 2015 and has been instrumental in developing our research and development operations. As CTO, he played a critical role in progressing our epilepsy and dermatological skin care research programmes. This work has led to the MGC Pharma’s clinical studies to evaluate CannEpil as a viable treatment for epilepsy among children and adolescents. Nativ Segev is a co-founder and head of business strategy. 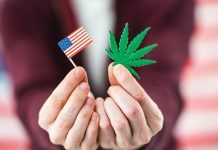 Before launching MGC Pharma with Zomer, Segev was the CEO of Israel’s second largest licensed medicinal cannabis company, Cann Pharmaceuticals, known as Better Cannabis, and led it from start-up through to a large private equity investment. During these years, Segev was leading the medical cannabis regulation in Israel and the Czech Republic alongside developing new medical treatments and spearheading the discovery of new strains. The founders of MGC decided to found MGC Pharma outside of Israel in early 2015, as they saw the country moving too slowly in developing an industry, while the Czech Republic and Slovenia offered positive and generous R&D opportunities and product development capabilities. The company was then listed on the ASX following an RTO, appearing as MXC on the ASX in May of 2015. Since then, MGC Pharma has positioned itself as a global leader in phytocannabinoid-based medicines within the biopharmaceuticals industry. MGC Pharma’s goal is to facilitate the transformation of phytocannabinoids into true medical product pipelines and to provide breakthrough solutions for prevalent global health issues to improve the quality of patients’ lives. Implementing active R&D and finding new ways to access patients are at the core of MGC Pharma’s values and forward momentum. 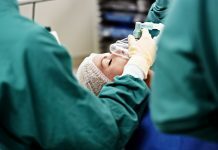 By compounding more than one standardised natural active ingredient, we are creating a controlled ‘small’ entourage effect, meeting regulatory requirements for standardised medicine while providing the therapeutic benefits of combining several natural compounds – creating greater harmony within the body and generating better patient outcomes. By bringing together the most experienced and curious minds from around the world with the goal of targeting and providing formulations for the most pressing medical issues which can be addressed with phytocannabinoids today, MGC Pharma is ensuring patients reap the benefits of a full suite of phytocannabinoid treatments into the future. The core of MGC Pharma’s seed-to-pharma strategy is focused on medical research and development of the company’s pharmaceutical product pipeline, which provides raw materials and appropriately matched genetics to treat patients with a variety of diseases across the globe. MGC Pharma is developing a seed-to-pharma pipeline to supply clinically backed phytocannabinoid medicines, globally. Our operational footprint is therefore ever-expanding as legislation changes and new markets begin to emerge. From 2016-2018, MGC Pharma operated a 1,100m2 glasshouse cultivation facility in the Czech Republic, mainly for botanical research and strain development. In February 2019, the New University of Ljubljana confirmed and validated our proprietary genetic strains as containing industry high levels of THC (over 35%) and CBD (over 20%). “Such high quantities of THC and CBD means we can scale up production while streamlining operations due to the cost-effective nature of the yield,” explains Zomer. MGC Pharma’s manufacturing facility in Slovenia is euGMP certified, ensuring we supply pharmaceutical grade cannabis-based medicines. MGC Pharma is one of only a handful of cannabis companies globally which operate to this level of quality, putting us in a unique position to supply phytocannabinoid-based pharmaceuticals, globally. MGC Pharma holds an EU licence to produce non-sterile Schedule 2 medicines, as well as HACCP certification for food and food supplements. While our core focus is phytotherapeutics, these licences allow us to expand our product range through subsidiary MGC Nutraceuticals and recently sold MGC Derma. 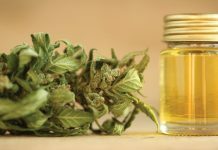 In November 2018, MGC Pharma sold the skin care and cosmetics subsidiary, MGC Derma, to Canadian cannabis investment and growth company CannaGlobal. 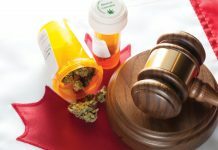 “Importantly, the transaction will allow the management team to focus MGC Pharma’s resources on the pharmaceutical side of our business, as we continue to build out our seed-to-pharma operations and conduct research and development to develop additional cannabis-based medications in the future,” says Zomer. In 2018, MGC Pharma was awarded a licence for a 6,000m2 site in the industrial area of Malta. Here, MGC Pharma is establishing a second euGMP certified manufacturing site, alongside 3,000m2 of cultivation. MGC Pharma has a 60-year lease on the site, along with a strong relationship with the Malta government and a max 5% corporate tax. 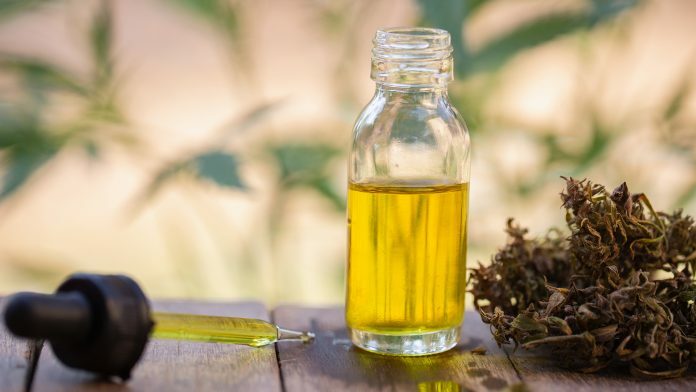 This puts MGC Pharma in an extremely strong position to produce a large amount of phytocannabinoid-based medicines and preparations for the European market. “Scaling up our commercial operations in Malta will secure our full seed-to-pharma vision. It puts us in an advantage position to not only supply to patients throughout Europe, but globally, at an affordable price,” explains Zomer. ANZ (Australia and New Zealand) is the core of Australia’s R&D agenda and our primary patient population. Through our local distribution partners HL Pharma (AUS) and Nubu Pharma (NZ), MGC Pharma is distributing a range of products to patients in need. MGC Pharma is currently executing a large research and development agenda, globally. This R&D ranges from botanical to clinical to technological developments, under the constant motivation of existing on the intersection of our cannabis-based therapeutics and today’s pharmaceutical industry. MGC Pharma has a clear vision – to have registered phytotherapeutics available in pharmacies and to patients in need, in the most cost-effective, consistent and efficient way possible. In order to get there, MGC Pharma is constantly innovating every step of its product, from improving genetics to ensuring better yield per square metre, nano-technologies to enhance bioavailability, and preclinical and clinical studies to test cannabinoids and their mechanisms to treat specific illnesses. MGC Pharma’s research agenda is global, with projects ongoing in Australia, Slovenia, Czech Republic, and Malta. “We are building strong relationships in the medical research industry, as it is integral for our strategic growth and development of our product line. Streamlining our operations through botanical research, while ensuring the highest quality of clinical data is collected to provide patients with medication that works,” says Zomer. MGC Pharma’s botanical research is spearheaded at the 1,100m2 cultivation facility in the Czech Republic, where research is conducted in collaboration with the Institute of Experimental Botany at the Academy of Sciences. This research is focused on optimising cultivation parameters and identifying high-cannabinoid strains, and tissue culture research to identify and optimise growing mediums for the transportation and preparation of large cultivation operations. With the Biotechnical Faculty at the University of Ljubljana, MGC Pharma is in the process of registering four new strains with the EU registry of new varieties for medical uses. This research also includes studying the genome and the development of the cannabinoids within the plant, and how to produce a higher cost-effective yield. In Australia, MGC Pharma has established a $2m (~€1.25m) state-of-the-art facility in collaboration with the Royal Melbourne Institute of Technology (RMIT), including a small research cultivation site. In pharmaceutical development, preclinical research is integral to ensuring product feasibility, defining which cannabinoids could be most effective, if at all, and at what ratio. MGC Pharma has a wide research agreement with the RMIT, including botanic, preclinical, clinical, and technological. This includes screening strains for anticancer activity and correlating their efficacy with their chemical profile – allowing us to identify the best cannabinoid profile for cancer therapy. Initially, this research will focus on prostate and melanoma cancers. MGC Pharma’s flagship product, CannEpil, has been formulated specifically for the treatment of severe epilepsy, supported by years of clinical prescribing experience by Dr Uri Kramer (an MGC scientific board member) in Israel. At the Institute for Children’s Neurology Paediatric Clinic at the University Clinical Centre in Ljubljana, MGC Pharma is conducting a Phase IIb clinical trial. MGC Pharma has collaborated with the University of Notre Dame in Western Australia to conduct a Phase IIb clinical trial using our phytotherapeutic product CogniCann. This is a randomised double-blind cross-over study, with the primary outcome being the assessment of 12 neuropsychiatric symptoms, including delusions, hallucinations, agitation, depression, anxiety and more. In collaboration with the National Institute of Biology in Slovenia, MGC Pharma is taking part in preclinical research on glioblastoma, done in vivo on human brain cancer cells immediately post mortem. This study has already drawn global attention after showing preliminary positive results. MGC Pharma holds a unique, broad agreement with RMIT, one of Australia’s leading universities. This agreement includes the establishment of the International Library of Cannabinoids (ILC) – an open source, large data aggregator built around global cannabis research data, which is being collected and analysed by a self-learning algorithm that will provide the most updated data to doctors around the world. 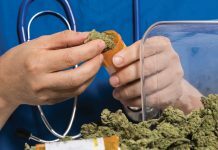 RMIT, The Hebrew University of Jerusalem, and MGC Pharma have established a research hub to facilitate research in the medical cannabis sector. Projects can come from any student within the academies, from industry, or from private individuals. The CannaHub encourages and facilitates novel, unique and disruptive research in the cannabis sector. “The CannaHub and the ILC have been designed to advance world leading research and push forward innovation within the medicinal cannabis pharmaceutical market,” says Zomer. The Maltese government and MGC Pharma have collaborated to open a joint research centre for cannabis and cannabinoids, which will work in collaboration with RMIT’s activities. Additionally, having assessed the lack of a CRO service provider in Malta, MGC Pharma will be providing CRO services within the research centre. While MGC Pharma is developing indication-specific formulations, we have available a range of products to allow medical professionals to prescribe as they see best suited for their patient. These products range from pure, whole plant CBD extract, through to a high-THC formulation. Medicine development can take years, but patients are suffering today. As a biopharma company, the first thought must always be of the patient, and there are solutions which are proven to significantly impact their wellness. Based on our research, our scientific board’s experience, and the company’s understanding of global legislation, MGC Pharma has isolated formulations which have significant potential to treat the widest swath of indications. MGC Pharma has implemented these products in our pipeline as immediate and accessible solutions to patients, as patient access is a main pillar of the company’s activity, globally. This agenda is supported by MGC Pharma’s extensive experience in rollouts of medical cannabis programmes throughout the world. These fully GMP-compliant phytotherapeutic products are the result of the past 20 years of mixed global legalisation and medical regimes, the accompanying accrued data, and research. This provides a context for formulations with proven significant positive impact on patients with epilepsy, cancer, diabetes and end-stage renal disease, to name but a few of the current usages in countries such as Israel, Australia, Canada, the UK, the US, and more. MGC Pharma has built a unique seed-to-pharma pipeline that encompasses everything from cultivation and manufacturing, through clinical research, until the medication reaches the patient via a doctor and pharmacy. 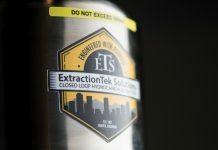 Our ultimate goal has been to create products that are fully compliant with existing pharmaceutical regulations in every jurisdiction, with the only distinction being the presence of phytocannabinoids from the cannabis plant. From a doctor and patient’s point of view, they are considering a product which has been proven to be either as effective, or more effective, than their current medication, and the question of ‘what is it made of’ being no more applicable than it is to an antibiotic or anticoagulant. From a formulation point of view, these products are created at the highest level of pharmaceutical formulation, fully GMP supervised and compliant, and are already being provided to patients as part of either clinical studies, observational studies or special access schemes in specific countries that allow them. Our intention is to place our products on the shelves alongside every other available medication, and to shift the conversation from cannabis to personalised medicine for the individual. Our desire is for patients to be given the ability to have fuller, healthier and happier lives. Cannabis holds within it elements that can facilitate this goal, and as such we are investing ourselves in researching, developing and creating products that will have that effect, globally. MGC Pharma is focused on existing in the pharma space by operating at the highest standards, providing the deepest levels of evidence and testing available, and educating and changing minds with results generated by the most important part of our company: the patients. MGC Pharma has a strong relationship with Epilepsy Action Australia, the country’s peak patient advocacy association. The relationship is varied, including collaboration on research, provision of information to patients, and more. In 2019, MGC Pharma co-funded the development of C4E (www.c4e.com.au), a platform that collates information about medicinal cannabis for the thousands of patients suffering from epilepsy in Australia. MGC Pharma is positioning itself as a global leader in the research, development and distribution of pharmaceutical grade cannabis-based products. With a clear vision and agenda focused on clinical research, we are providing the knowledge and confidence to medical professionals to include medicinal cannabis in their arsenal of treatments. “Ultimately, our goal is to improve the wellbeing of patients, globally. This must be done in a comprehensive, research-backed manner, ensuring patients receive the positive results they deserve,” concludes Zomer.